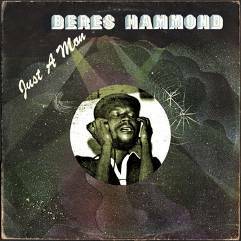 On June 1st VP Records/17 North Parade released the reissue of 'Just A Man' by the Legendary Beres Hammond. With over 30 years in the business and an impressive history of hit songs, Beres Hammond has earned his place among the firmament of reggae singers. 'Just A Man', his second album, reveals an early version of Beres: R&B/ Disco crooner and quite a convincing one. This 1979 album, produced and recorded with Joe Gibbs contains the highly sought after UK Soul hit Do This World A Favour plus 9 other full length vintage tracks that treat listeners to a different side of Beres’ roots. This newly re-mastered disc also includes the song Set Me Free recorded with Joe Gibbs but never released on album before! 'Just A Man' is a real rarity. It is not a reggae album so the die-hards may not find it to their liking. However, if you are a fan of Beres Hammond and/or 70s smooth-groove soul this record is definitely for you!